Underfloor Heating vs. Radiators: Which should you choose? You may have contemplated hard over this question. Underfloor heating makes your space look super neat as it conceals your heating system from view, and of course, it keeps your feet warm and super toasty too. On the other hand, installing a radiator which complements your home decor can add character to any room, which is why it’s sometimes a hard choice to make. Making a choice can be tough and it’s not the same as selecting new curtains or cushions, as heating solutions usually cost a fair amount more. When deliberating over which would suit your home requirements best, you may need expert advice and Great Rads can give you exactly that. In this blog, we take you through the pros and cons of each system, which should enable you to make the right decision. Underfloor heating is known to be more effective when compared to other heating systems as it turns the whole floor into a radiator. It heats the space evenly without making the heat source visible to us, which may be preferable for those who want their space to look neat and decluttered. If you believe in the principle of minimalism and are not particularly fond of placing many objects on the floor or walls, underfloor heating is the right choice for you. Buried underneath your floor, it works like an invisible wizard, casting spells of heat to every nook and corner of your home and magically turning them warm and toasty in those harsh winter months. Radiators circulate the same air that is available in the room, which can be mouldy or filled with pollens and other pollutants. Also, they act as a source of convection, supplying heat to specific spots only and making the warm air rise up to the ceiling where it serves no purpose. Underfloor heating on the other hand, acts in a way which is quite similar to air conditioning. It improves air quality by heating the air which it brings into a home from the outdoors. As the name suggests, the pipes of an underfloor heating system are placed under the floor. Most of us do not wish to put up with the discomfort that renovations of these kinds bring to our lives, especially if there are little ones involved in the picture. Underfloor heating has a rather complicated installation procedure when compared to that of radiators. 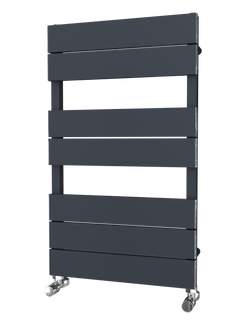 Even though these systems have modified and are much easier to install now than they were previously, radiators will still be the easier-to-install option. 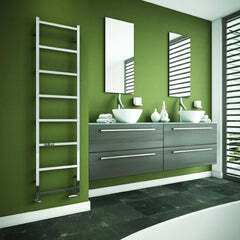 To install a radiator, all you need to do is decide a suitable corner or wall and hook it up to the pipes in the room. Suppose you have a guest room which is not put to use often. With underfloor heating, even the spare rooms of your home get heated, which leads to a wastage of energy. But if you install a radiator in such rooms, you will not have to worry about precious heat getting wasted. 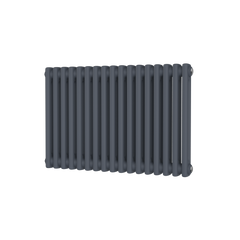 Nowadays, radiators are available in such beautiful designs that you will find it difficult to bring home just the one with you. They are now available in many shapes and sizes so that they can fit into those tight corners and be easily installed into any space that you may like. Do you have a specific colour in mind? Not a problem, as Great Rads makes radiators in all sorts of colours. 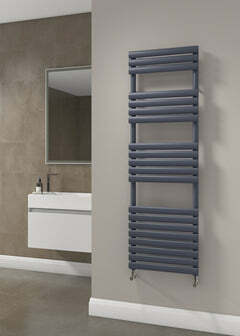 No matter what your style or preference, you will always find a radiator that matches the aesthetics of your home. We hope the above tips have helped you to arrive at a decision. If not, you can get in touch with us and our specialists can guide you on what heating solution is best for your individual home.